Merry Christmas Everybody!!! 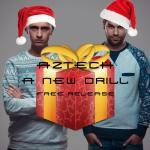 We are giving away our track - A New Drill for this Christmas. Happy holidays everyone, and we hope you enjoy the track!! !